Through the lens of the everyday, this book explores ’the countryside’ as an inhabited and practised realm with lived rhythms and routines. It relocates the topography of everyday life from its habitually urban focus, out into the English countryside. The rural is often portrayed as existing outside of modernity, or as its passive victim. Here, the rural is recast as an active and complex site of modernity, a shift which contributes alternative ways of thinking the rural and a new perspective on the everyday. In each chapter, pieces of visual culture - including scrapbooks, art works, adverts, photographs and films - are presented as tools of analysis which articulate how aspects of the everyday might operate differently in non-metropolitan places. The book features new readings of the work of significant artists and photographers, such as Jeremy Deller and Alan Kane, Stephen Willats, Anna Fox, Andrew Cross, Tony Ray Jones and Homer Sykes, seen through this rural lens, together with analysis of visually fascinating archival materials including early Shell Guides and rarely seen scrapbooks made by the Women’s Institute. 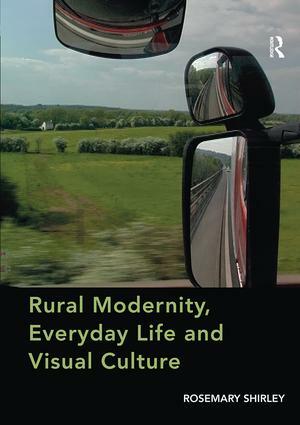 Combining everyday life, rural modernity and visual cultures, this book is able to uncover new and different stories about the English countryside and contribute significantly to current thinking on everyday life, rural geographies and visual cultures. Contents: Introduction: beating the bounds; Speed and stillness: driving in the countryside; Keeping Britain tidy: litter and anxiety; The networked village: Women's Institute Golden Jubilee scrapbooks; Performing the village: festivals and folk art; Conclusion: limbo dancing; Bibliography; Index. Rosemary Shirley is a Senior Lecturer in Art History at Manchester School of Art, Manchester Metropolitan University. She has contributed chapters to Affective Landscapes in Art Literature and Everyday Life (Edited by Christine Berberich, Neil Campbell and Robert Hudson, 2015) and Transforming the Countryside (Edited by Paul Brassley, Jeremy Burchardt and Karen Sayer 2016). Her research centres on everyday life and visual cultures in historical and contemporary rural contexts.